Congratulations to all the nominees at this year’s Justice Awards, presented by the Law and Justice Foundation of NSW and held at NSW Parliament House on 13 October 2016. As usual it was a rewarding evening for all who attended; such was the remarkable nature of the stories of the contributions of individuals and organisations, who work tirelessly to improve access to justice. 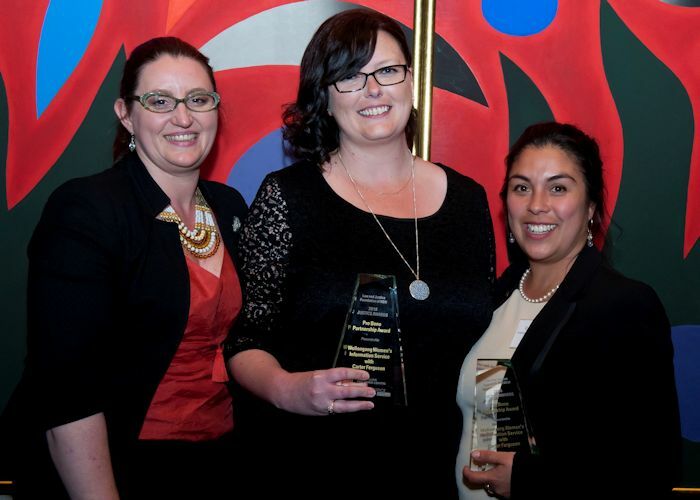 The Centre was proud to sponsor the Pro Bono Partnership Award which celebrates and promotes innovation in pro bono relationships that effectively address unmet legal need in a particular community and improve access to justice for people experiencing disadvantage. This year for the first time, the element of the existence of a partnership in a regional, rural or remote location was taken into account as an element of innovation. The winner this year was law firm Carter Ferguson partnering with the Wollongong Women’s Information Service. The key to this service is that these women are able to speak with a senior solicitor in a safe, caring and compassionate environment. Since February 2015 this has been a house in Wollongong, converted for this use by Carter Ferguson. The office is designed to replicate the feel of being at home – or at a friend’s house – so clients feel more comfortable discussing their problems. Carter Ferguson coined the phrase “lounge room lawyering” to describe this approach and clients have responded well to this safe, trusted and familiar environment. This partnership has greatly impacted the lives of hundreds of women and their families for the better in the greater Illawarra region. The clinic has provided legal assistance in relation to apprehended violence orders, parenting arrangements, child support, housing and financial matters. The other nominees for the 2016 Pro Bono Partnership Award are just a sample of the many productive pro bono partnerships that exist across Australia. Below is a brief description of the work of each partnership. Donovan Oates Hannaford Lawyers of Port Macquarie, were one of the first law firms to join the Cancer Council New South Wales’ Pro Bono program in their region of NSW some five years ago. They have accepted every single referral received from the Cancer Council since that time, and provided legal assistance to 33 clients with cancer, often at short notice travelling to the patient’s home or hospital bed as required. Their lawyers have also taken the time to educate and present to groups within the cancer community. This relatively new partnership is a great example of a law firm reaching out to develop a new dynamic project that builds capacity at a CLC to help its clients. Kemp Strang lawyers work in a highly collaborative fashion with HALC lawyers to prepare submissions and pursue cases for people who have a fear of serious harm amounting to persecution if they return to their country of origin due to their HIV status and/or sexuality. Each matter can take 18 months to 3 years to reach a conclusion, and these are complex matters sometimes involving internal and external appeals. 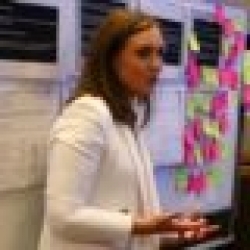 HALC solicitors retain conduct of the matters and provide training to Kemp Strang solicitors. As one referee commented, this is a project that literally saves lives when the client is able to stay in Australia. Marrickville Legal Centre and Sparke Helmore, HWL Ebsworth, Minter Ellison and Santone Lawyers. In 2011, Sparke Helmore first partnered with the Marrickville Legal Centre to establish the Employment Law Advice Clinic. The partnership expanded in 2014 to include the three other nominated firms, and now provides legal advice in an area of high unmet legal need – employment law issues. This includes advice to workers with a disability, young workers, recent migrant workers and those on low incomes. To date the clinic has assisted approximately 1,225 people. Refugee Advice and Casework Service (aka RACS), and Henry Davis York, Allens Linklaters, Baker & McKenzie, Hall & Wilcox, King & Wood Mallesons and Norton Rose Fulbright Australia. These six law firms offer coordinated pro bono support for the RACS Legal Help for Refugees Clinic. The clinic operates to provide discrete assistance sessions to people seeking asylum at a number of critical points in that process. The partner firms have developed specialisations in particular aspects of the process so that a number of firms are likely to assist a single client in a coordinated process as they move through to the Department of Immigration and Border Protection interview. This innovative collaboration has facilitated RACS being able to rapidly respond to need on a large scale despite the removal of government funding for this service. The clinic has assisted over 3,000 people so far, with a waiting list of 12 months (with over 600 on that list). Many of the partners have shouldered significant associated resourcing costs such as interpreter fees. Firms have also hosted clinic and training sessions in their offices and provided an evaluation of the project. Women’s Legal Service NSW with Colin Biggers & Paisley. In 2015, Colin Biggers & Paisley approached Women’s Legal Service offering pro bono support for victims of family violence with a view to a long term partnership in accordance with the firm’s pro bono strategic plan. The project concentrates solely on exploring and advising victims of domestic violence on possible compensation avenues pursuant to statute. Innovatively, with each matter data is being carefully recorded to assess the need for policy and law reform in this important area of victim’s compensation. This collaborative partnership sees Colin Biggers & Paisley committing the resources of female lawyers (trained by WLS) to this project consistent with the casework practice of WLS and ensuring that clients are more likely to feel comfortable to disclose difficult instructions about act of violence and injury. The project is part of a broader relationship between the two which involves access to city rooms for volunteer lawyers to provide a weekly evening telephone advice service, support through the firm’s workplace giving program and taking on other referrals. So far, more than 32 survivors of domestic violence have been referred into the project and as the project expands, Colin Biggers & Paisley will play a lead role in bringing other law firms into the project. 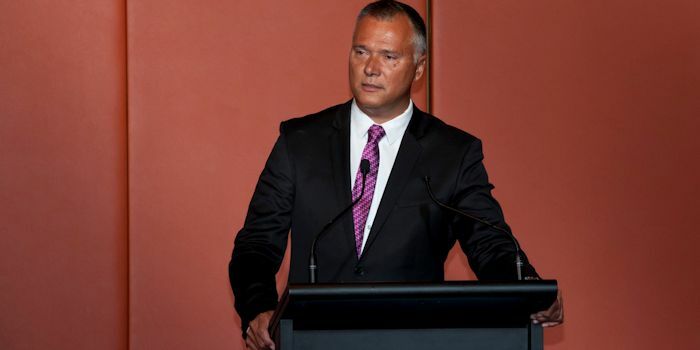 A highlight of the evening was the Law and Justice Address delivered by Mr Stan Grant. In an eloquent and thoughtful presentation he asked the question, “what would it take to fill the space between black and white Australia, … to fill the silence,… to fill the space between an outreached black hand and an outreached white hand? It is recommended reading and there is also an audio recording available for download.